New custom built home on over an acre lot! This stunning home has 3 bedrooms and 2 bathrooms. The kitchen and bathrooms are beautifully done with new appliances. Kitchen counters are absolutely stunning and an absolute must see! Fantastic wood like tile throughout the entire home, cool in the summer and easy to maintain. 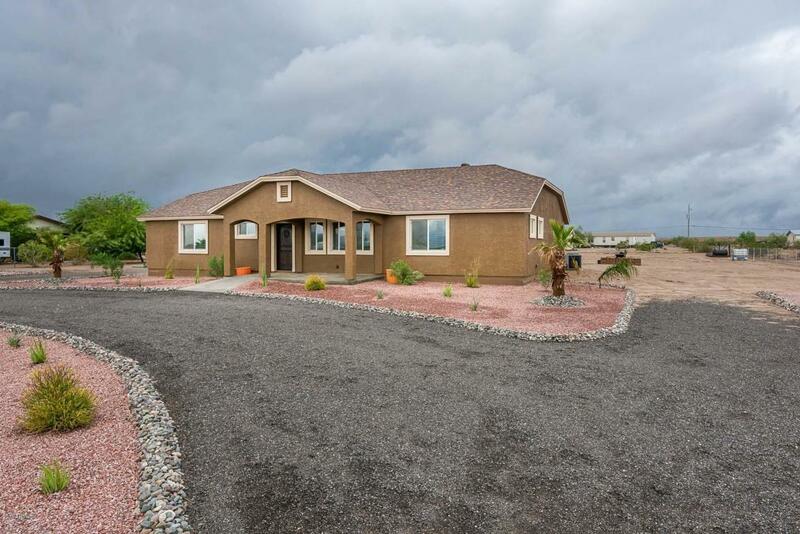 Fully fenced in yard with plenty of room to ride your horses or bring all of your toys. Fantastic views from both the front and back of the home. This is a wonderful home and has everything you could want for good country living. Also NO HOA! Come and see!